In-depth and comprehensive, this RESOURCE KIT delivers the information and resources you need to plan, deploy, administer, and support Windows Server 2008 Terminal Services and server-based applications and clients. You get authoritative guidance direct from those who know the technology best an internationally recognized expert and her peers on the Windows Server 2008 Terminal Services team at Microsoft. You also get essential resources on the companion CD, including scripts and author extras, to help you deploy and manage Terminal Services and server-based applications. 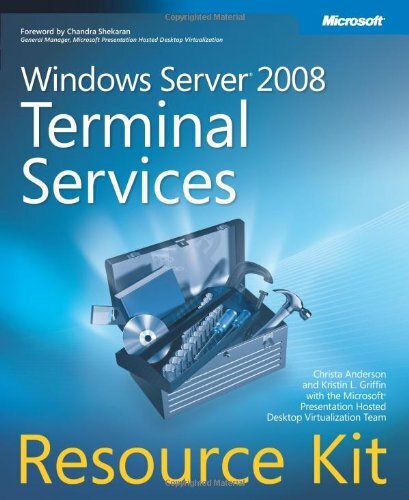 If you re serious about Windows Server 2008 Terminal Services, this is the resource you ll use to optimize results from your deployment. Christa Anderson is a program manager on the Remote Desktop Virtualization team. A Terminal Services MVP before she joined Microsoft, she was an internationally known writer and speaker on server-hosted computing and a senior contributing editor and columnist for Windows IT Pro Magazine.